Interesting tidbit, I forgot what language it came from but the meaning of Zoro means "Seed of". So is Zoro the seed/son of Roronoa? Ponsecal Lauroe, Luffy., Dango and 2 others like this. This just occurred to me, where is Apoo? Hawkins & X Drake are in Wano but where is the scratchman? Ziosa, Putu and Arara like this. Isee Toko and can't help butthink shes related to Sentomaru I know Ican't baseoff looks but if she is I hope Oda gives them a happyreunion. Critical Mindset, Dango, Pritam and 3 others like this. I just remember to that Aokiji is also part of the Blackbeard pirates too! Kuroshika, Reborn, Stealth Black Sanji and 6 others like this. Is Catarina Devon the first woman outside of the SMILE users to have a Zoan Devil Fruit? Kuroshika, Stealth Black Sanji, Lizzy and 5 others like this. Kuroshika, Putu, Stealth Black Sanji and 4 others like this. I wonder if Oda is delaying chapter 925 because he knows its Thanksgiving over here in America and will post it tomorrow? Camie, Stealth Black Sanji, Putu and 3 others like this. Free Kuma! Free Kuma! Free Kuma! Putu, Stealth Black Sanji, Pritam and 2 others like this. Cpt., Stealth Black Sanji, Rej and 3 others like this. Cpt., Stealth Black Sanji, BKumafangirl67 and 3 others like this. I hope that in the future we can talk more. 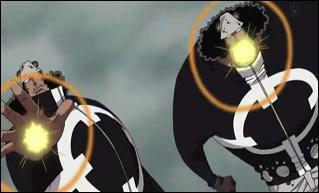 Cpt., Stealth Black Sanji, Putu and 4 others like this. Cpt., Putu, Rej and 2 others like this. I see you made your biography already. Excellent! As you want to be a pirate, I recommend that you join the Backyard Pirates! Cpt. and BKumafangirl67 like this. Cpt. and Dragomir like this. Cpt., BKumafangirl67, Rej and 3 others like this. I'm a big fan of Kuma and the pacifistas. BKumafangirl67 does not have any items.